Good Looking Sheds, Built To Last. Jon Beck has been with Idaho Wood Sheds for over 6 years. He is dedicated to serve our customers and to building best sheds in Idaho and Oregon. One of the reason for that, we believe is because he is the strongest shed builder ever! 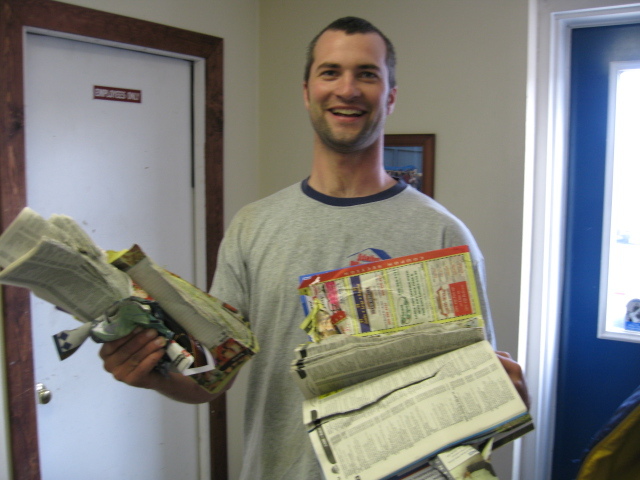 He can tear phone book apart with his bare hands. He is also full of joy and just really nice guy. If he is the one delivering your shed, you will see it for yourself. If you are looking for a good looking shed that will last, give us a call, you will not be disappointed. Idaho Wood Sheds – Smart Choice!